The Louisville Cardinal received an influx of new advertising this year, enough to forestall a crisis. Interim President Greg Postel has further pledged to buy $25,000 in advertising next year. “The Cardinal provides an important educational opportunity for many of our students, and it is an important source of information for our campus community. I am pleased that, despite a tight budget, I am able to continue to support its mission. As I told the Cardinal board when I made the commitment earlier this year, I’ll continue to encourage others to do the same,” Postel said. Cardinal Board Chair Jenni Laidman said Postel’s pledge helps keep the Cardinal operating for another year. She said the board is planning more aggressive long term fundraising strategies for the future. In September 2017, university administration announced they would no longer continue their previous advertising commitment. 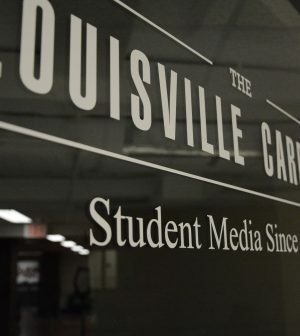 The decision poised U of L to become the only ACC school without a student newspaper. Hundreds of U of L alumni, former Cardinal staff and supporters came to the newspaper’s aid, setting up two Facebook groups and purchasing a full-page ad. A GoFundMe Drive in September reached its $5000 goal in 10 days. Since then, the total amount raised is $5665. During the 2016-17 school year, Postel and Interim Provost Dale Billingsley bought $40,000 in advertising. Postel purchased $20,000 for 2017-18.